Well, there are several updates here and along the way that I feel compelled to share. First the updates on the cyber-side of the shop. I'm very happy to talk about how this blog has grown in leaps and bounds recently. March 23rd I put up a post here celebrating 1500 hits, I thought this was a heck of an accomplishment for less than a year on the web. Then on April 16th I received an email from Luke Townsley at unpluggedshop.com where he informed me he was going to add me to the blog RSS collector on his site, since then I have seen readership explode here as more people get the chance to be exposed to the little experiments in sawdust. That has inspired some additional creativity by me on the blog, so you may have seen some changes already and will continue to see future ones. For instance I went back through all my old posts, linked them by category, and added the list to the side bar. 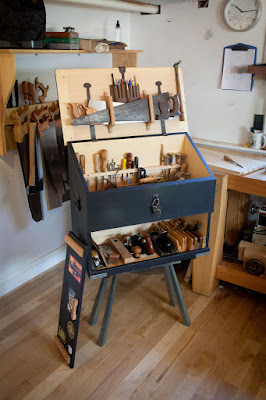 I am also working on several stand alone pages, one is up already as I decided to start with an "About Me" type page, but I am going to add others including a peek into my woodworking library, a gallery of completed projects, a step by step walk through on one of my favorite pieces to build, replicas of the Mastermyr Chest, and some other ideas I have as well. So I want to thank everyone who is newer to reading my blog and welcome you here, but more importantly I want to thank Mr. Townsley for giving me the added exposure. If you haven't had a chance to read through his blog I highly recommend it. Looking through I realized that his blog was one I referenced for myself when I was planning the build on my Nicholson Style Workbench, About a week ago he posted that he was recovering from some health issues and looking for some inspiration to get back into making sawdust, I offered my 2 cents of encouragement on his post, I urge you to go there and offer the same, you can find it here. Other changes on the horizon includes a move, this will be the fourth time I move the shop, and probably not the last time either. If you have read here much at all in the past you have heard me lightly complain that we are a family of five stuck in a little 2 bedroom part of a duplex. With summer upon us and us getting back on our feet financially, we have been looking for a bigger place. Of the 2 prospects we are mining now, both are in apartment buildings and offer little in the way of space or opportunity for a shop. My father has come to the rescue and offered me the use of most of his back yard shed, this isn't a little shed, it's the size of a small trailer home. 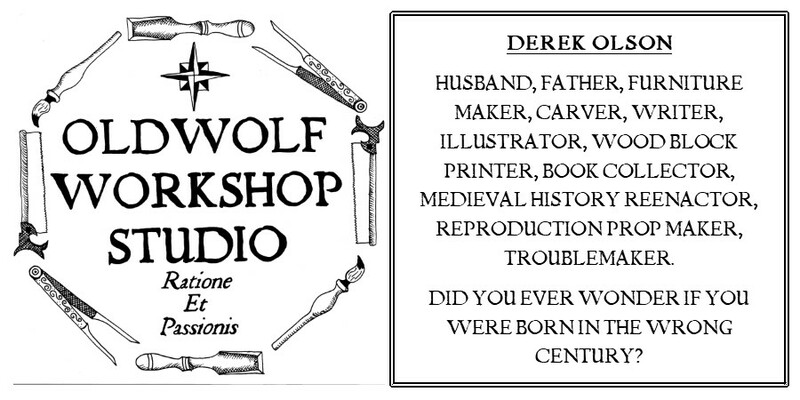 The drawbacks are, for the first time I won't be living in the same space as my shop, this may work for and against me. On the right hand, there will be less chance of distraction while I am there, if I can set a schedule and keep it, 2 or 3 days a week of planned time, then I may just be more productive. But on the left hand, I will have to actually travel to get to the shop, so there will be little to no impromptu, "I've got five minutes, I'll do this" time. The concept really enforces the fact that there is no "perfect" place to work, and that woodworking, like everything else in life, has to be a conscious decision. Either way it will be what it is. Have no worries I will document the whole journey here on the blog, again thanks for reading, I hope you stick around to see what the future holds, I know I'm excited to find out myself. Glad your traffic is picking up. I know my site adds a bump to the sites it aggregates by feeding traffic to them directly. Also, there are people who check it out occasionally just to see if there are any blogs coming up they want to add to their RSS reader.